Solve It! is an evidence-based approach to teaching students (grades 5–12)—including those with math difficulties, learning disabilities, and autism spectrum disorder—math word problem-solving skills. Why does Solve It! stand out as a solid approach to teaching math word problem solving? One reason—it is evidenced-based. To be evidence-based, an instructional approach must be informed—or based on—objective evidence. While objective evidence usually is considered most desired, educators also may use qualitative information to improve student results (e.g., teacher and student observations, student and family interviews, student and teacher work products, surveys, etc.). Learned to solve math word problems quickly and efficiently. Increased correct-answer percentage on math word problems. Outperformed students who received typical classroom instruction on math word problem solving. Demonstrated growth and improvement on state math assessments measuring word problem-solving skills. What Research Says About Solve It! Teach critical cognitive processes and metacognitive strategies. Improve students’ motivation to solve math word problems. Solve It! was first validated and refined by Solve It! developer Dr. Marjorie Montague and her colleagues (1986–93) in three separate intervention studies with a total of 84 students with mathematical learning disabilities between 12 and 18 years of age. In these intervention studies, scripted lessons were sequenced to ensure that students learned and understood the cognitive processes and self-regulation strategies associated with effective problem solving. Results indicate that following instruction, students with learning disabilities performed similarly to average achievers who were not given instruction but who demonstrated problem-solving ability. 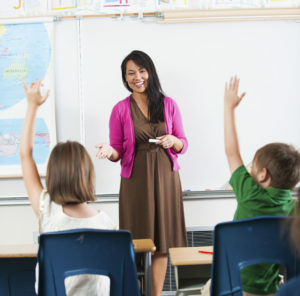 Generally, across studies, students maintained strategy use and problem-solving performance for several weeks following instruction. After several weeks, student performance tended to decline; however, a booster session consisting of review and practice helped students return to their previous level of performance. Solve It! was validated in these studies for students with learning disabilities. Roughly one-quarter of students with autism spectrum disorder could qualify for a mathematics learning disability and have difficulty with math word problem solving. Given some unique strengths some students with autism spectrum disorder have (e.g., preference for routine, visual learning skills, rote memory skills, and good computational skills), Solve It! potentially is a good fit. In fact, Solve It! author Dr. Peggy Schaefer Whitby conducted research (2013) involving high-performing middle school students with autism spectrum disorder that demonstrated a functional relationship between Solve It! and an increase in their correct-answer percentage on math word problem-solving assessments. Recently (2011–14), Solve It! was validated by Dr. Montague and her colleagues in two large intervention studies conducted in general education math classes with average-achieving students, low-achieving students, and students with learning disabilities. In these studies, math word problem-solving instruction consisted of three initial scripted lessons and weekly practice sessions that used math word problems drawn directly from the district’s curriculum. Student progress was monitored using curriculum-based measures consisting of 10 one-, two-, and three-step math word problems. Results indicate that Solve It! students significantly outperformed students who received typical classroom instruction on these curriculum-based measures and demonstrated greater growth on the state math assessment. Learn More About Solve It! For more information on the research base for Solve It!, see https://www.exinn.net/wp-content/uploads/2015/10/Brief-on-SolveIt-Research-4-Web.pdf. To learn more about the Solve It! approach, see https://www.exinn.net/solve-it/.